Green Things Plant Nursery carries pottery from around the world. 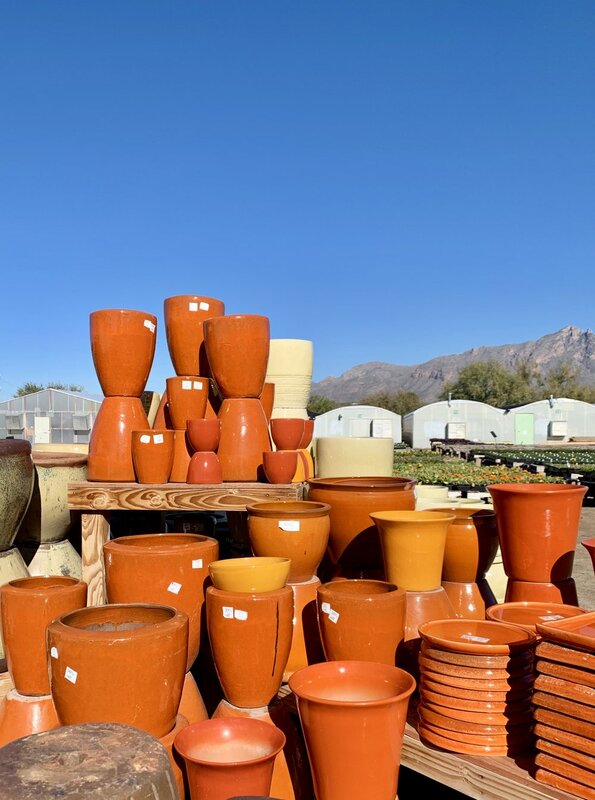 Beautiful glazed and “rustic” style ceramic from Vietnam and China, large, small and in between, see pots in all shapes, colors, styles, and sizes. Urns, vases, low bowls, contemporary, traditional, sophisticated and funky – everything to suit your individual style and taste. View Talavera from Oaxaca, Puebla and Delores Hidalgo Mexico. 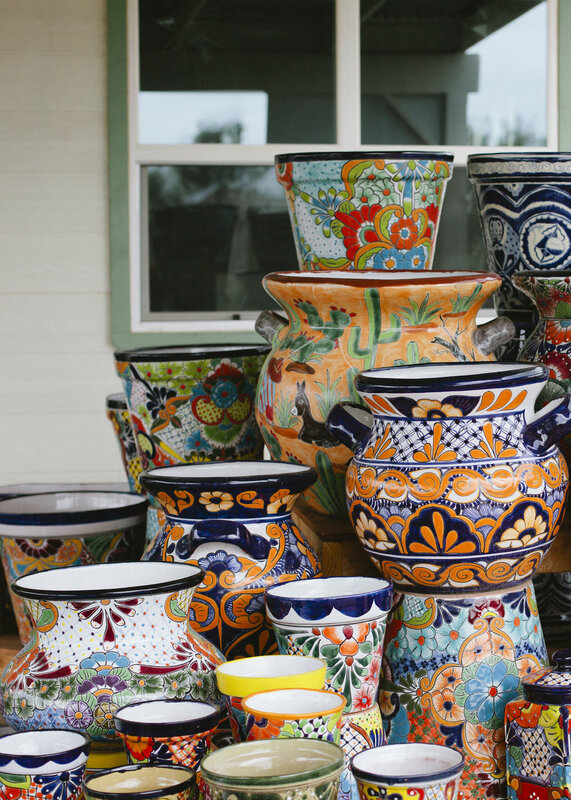 A surviving folk art form, our Talavera arrives directly from the artisan factories in rural Mexico. We pride ourselves on carrying high quality, unique styles, and sizes from tiny to very large. Orchid pots, hanging baskets, fiber, plastic and saucers in a number of colors and sizes are available. Self-contained, disappearing and tiered fountains in a myriad of sizes line our entry walk.